Days after this conversation and the one about the bullet, Mr. Khashoggi wrote his first column for The Washington Post: “Saudi Arabia Wasn’t Always This Repressive. Now It’s Unbearable.” It was a withering attack on Prince Mohammed’s crackdown inside the kingdom. Officials at the Saudi Embassy in Washington, contacted on Thursday morning, had not commented by 6 p.m. In the weeks after Mr. Khashoggi’s death, classified evidence piled up that senior Saudi royals approved the Khashoggi operation, even as American officials insisted that there was no “smoking gun” directly tying the crown prince to it. 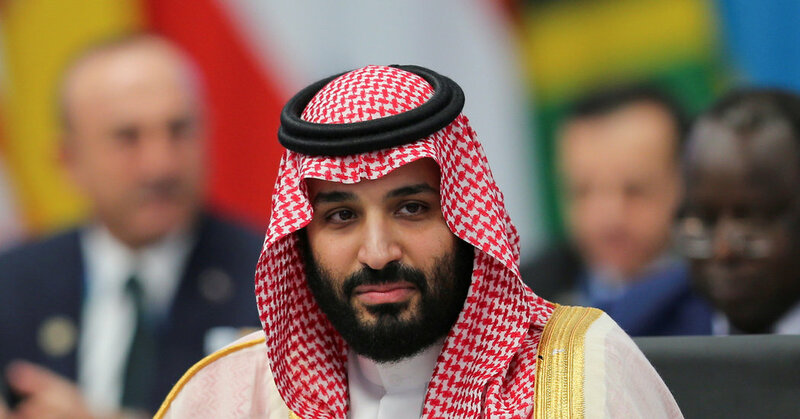 The narrative from the Saudi royal court changed repeatedly, and the Saudi government has been determined to insulate the powerful crown prince from blame. Most recently, Saudi officials have said that the operation was a kidnapping gone awry — that the team had been sent to Istanbul to forcibly bring Mr. Khashoggi back to Saudi Arabia but made the decision to kill him after he refused to cooperate. Saudi officials have said that Prince Mohammed had no knowledge of the operation. What was more important, the president indicated, was that the kingdom had pledged hundreds of billions of dollars of investments in the United States, including $110 billion in arms purchased from Lockheed Martin, Boeing and other defense firms. Defense analysts say that the actual amount that the Saudi government spends is likely to be far lower. With Democrats now in control of the House of Representatives, lawmakers are hoping for a sustained push for answers about who was behind Mr. Khashoggi’s death. The House Foreign Affairs Committee is planning to introduce legislation calling for the director of national intelligence to produce a report to Congress identifying which Saudi officials helped plan the operation, according to two Democratic congressional aides.